Have you been chasing a dream? Have you been searching long and hard for the truth? Are you feeling weary and exhausted from your quest? You’re not alone. Mankind has labored hard in this endeavor. It has been the burden of every generation to seek eternal truth. But there is good news! This burden has been removed! For truth is found through Jesus Christ. Jesus Christ proclaims himself to be the only true revelation of God and the exclusive path to Him. He declares “I am the way, the truth, and the life. No one comes to the Father except through me” (John 14:6). Jesus came into this world to save us from our sins! He is the only way to Salvation! This does not mean that Christians (those who believe in Jesus and follow his teachings) live on “Easy Street”. No one ever demanded a higher standard from his followers than Jesus. We must live our lives in thankfulness to Him for this ultimate act of grace and love He has given us. But Jesus does offer to help us meet that standard. He helps us carry the burden. And He provides rest for our souls. If you are experiencing despair in your search for truth and spiritual rest we encourage you to believe in Jesus Christ and to join believers from all around the world in studying God’s infallible word (the Bible) and in worshipping Him. Covenant church offers you the opportunity to study and worship and join a community of believers right here in Grassie, Ontario. Continue browsing our website for more information about us and please contact us if there is anything we can do to help you discover the eternal truth. 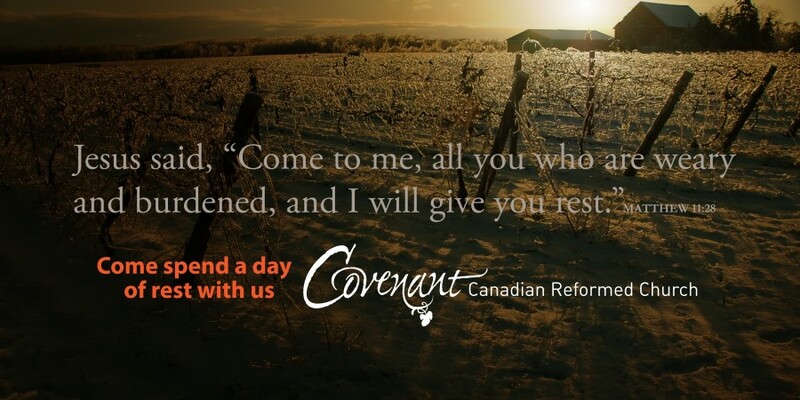 Welcome to the website of the Covenant Canadian Reformed Church, more commonly known as Grassie Church. We are part of a larger federation of churches, called the Canadian & American Reformed Churches. We are an active congregation of approximately 450 believers, both young and old. We are committed to worshiping the Lord in Spirit and truth and serving him in our lives. In addition to meeting twice each Sunday for worship, we also join together in bible studies, social gatherings, choirs and various ministries. Our church building is located on the corner of Mud Street and Woolverton Road, at the edge of the Niagara Greenbelt, in the small hamlet of Grassie. Please see our directions page for more details on how to find us. If you are a new visitor, you will find information on our website about who we are, what we believe and how you can join us in worship. We extend a warm welcome to all visitors, and if you are considering a visit to our church, please see our join us this Sunday page for more information.